A personalized certificate containing a description of the adopted pipe and precise information on where in the organ it is located. It is possible to have a certificate issued in the name of a third person, making it e.g. an original gift for organ enthusiasts. 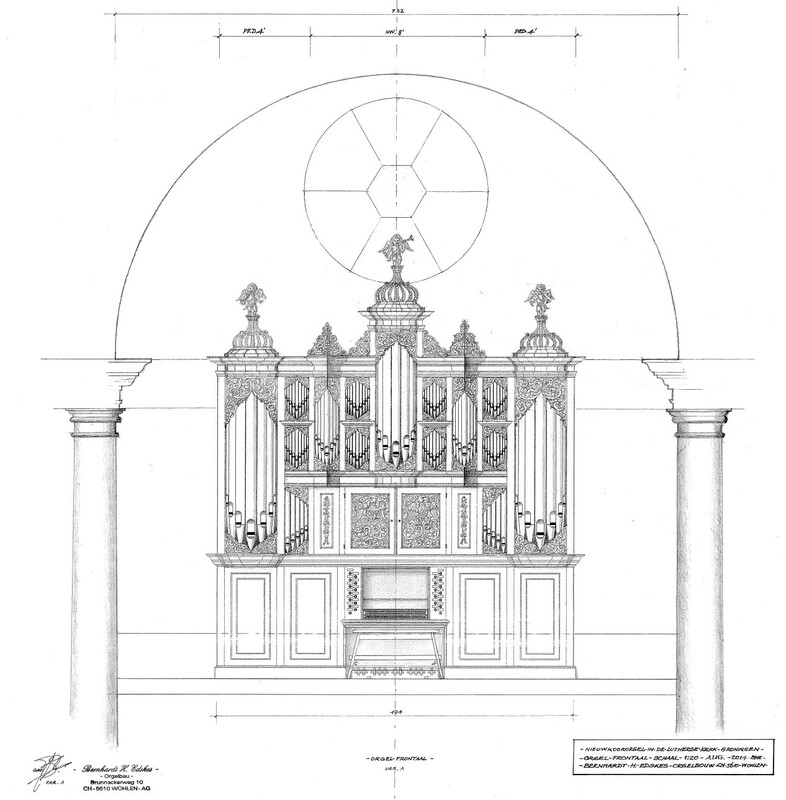 Access for two to a private event where the newly built organ will be presented and demonstrated by the organ builder in close cooperation with a celebrated organist. Additionally with the adoption of a pipe with a price of at least EUR 125: Engravement of the name of the adopter on a special 'founders board' that will be installed next to the organ. Additionally with the adoption of a pipe with a price of at least EUR 500: Lifelong free access for two each year to a recital that is organized by the Foundation. Additionally with the adoption of a pipe with a price of EUR 2000: Lifelong free access for two to any recital that is organized by the Foundation. An overview with the prices of all the pipes that are available for adoption. Click to enlarge. 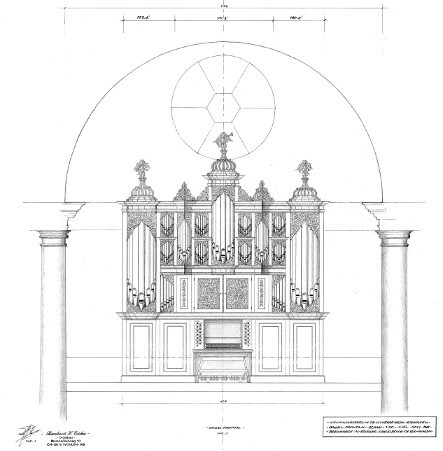 Below the disposition of the organ is listed. Click on a stop to find out which pipes are still available. You can then select the pipe you seek to adopt. After selecting one or more pipes, click on 'next' and fill in your personal data. Behind each pipe is an indication whether or not it is still available for adoption. If a pipe has already been adopted, the name of adopter is shown (provided the adopter has consented to this). The praestant stops are located (almost completely) in the façade of the organ. By adopting one of these, you ensure that you can always see 'your' pipe. Hence these pipes are more expensive than the pipes inside the organ.